Must Have of the Day: Funny pineapples by Dolce & Gabbana to cheer up your summer with colourful and joyful looks! 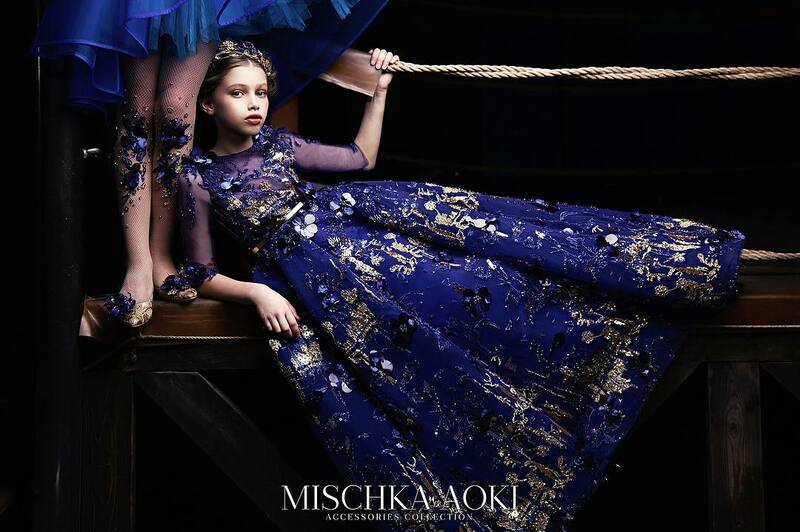 The Children’s collection was born to reflect a mini version of the Men’s and Women’s lines: create a mini me look ideal for the whole family! Funny pineapples to cheer up your summer with colouful and joyful looks! 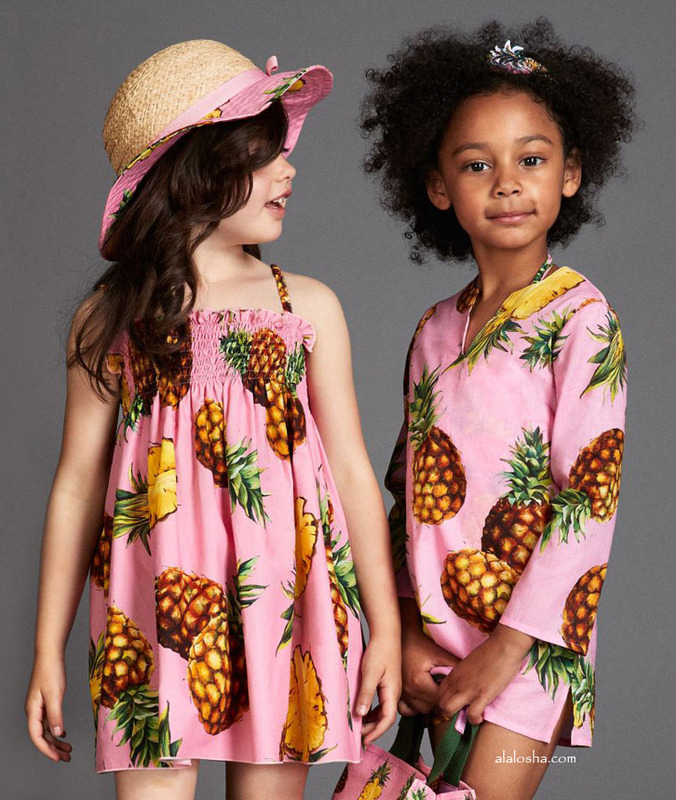 Girls rose pink dress with pineapple print by Dolce & Gabbana, made in a smooth, woven cotton. 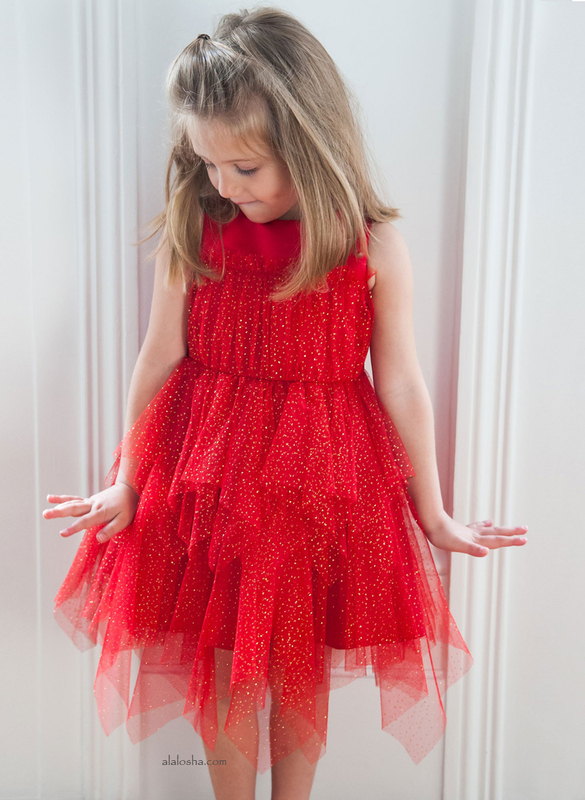 The dress has elasticated shoulder straps, with a ruffle across the pretty, ruched bodice. Easy to wear, it simply pulls on over the head. 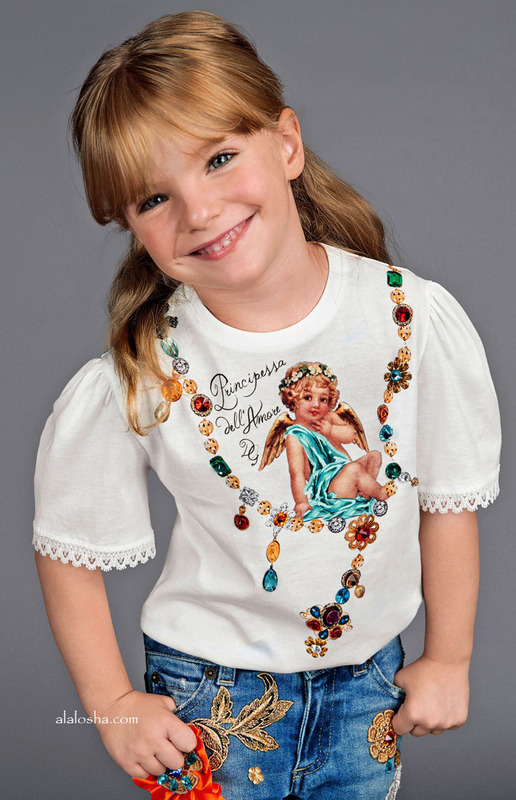 Girls ivory cotton jersey t-shirt by Dolce & Gabbana, with lace trimmed short sleeves. Inspired by the adult collection, this beautiful top is decorated with an 'angel of love' and necklace print, embellished with colourful jewels. 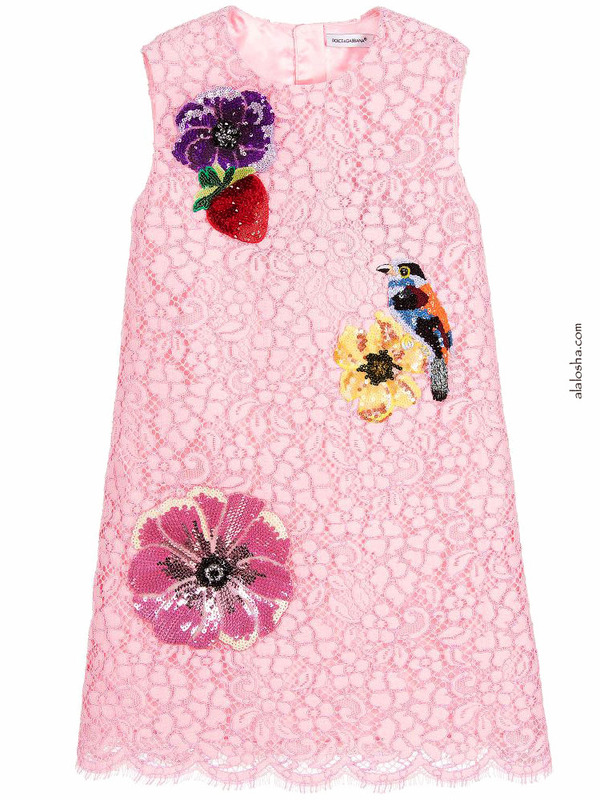 Girls amazing, pink lace dress by Dolce & Gabbana, with beautiful, sequinned and beaded appliqué of flowers, a strawberry and a bird. Made in a cotton and viscose blend, it has a covered zip fastener at the back and a silky viscose lining with a lacy trim. 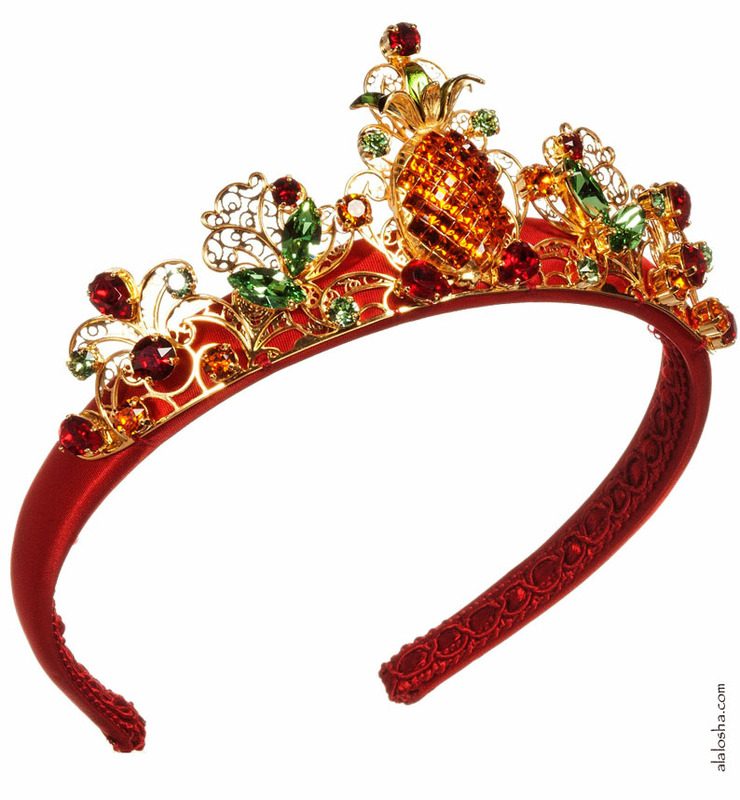 Luxury red hairband by Dolce & Gabbana, with a lightly padded, silky satin band. The amazing gold brass crown has a pineapple centre piece, embellished with stunning real crystal gems. The designer's gold logo embossed plate is sewn on one end. 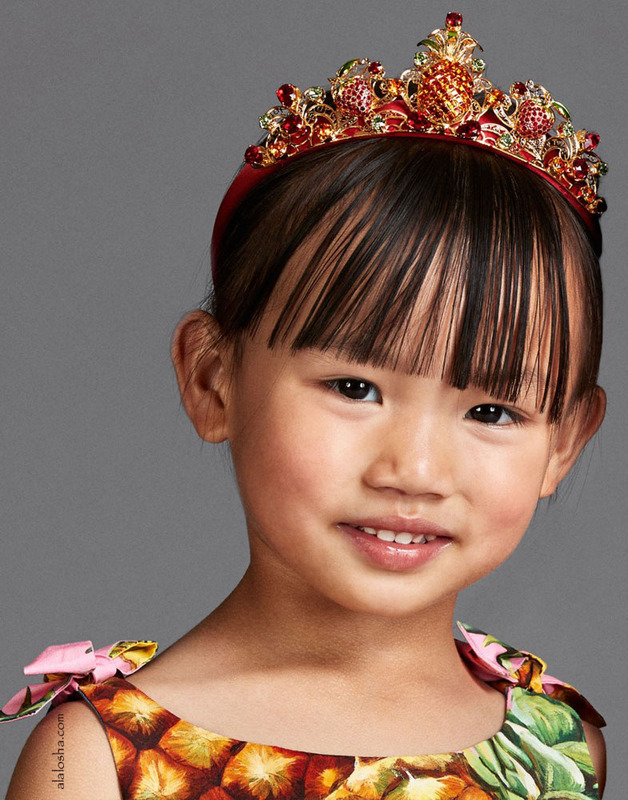 A perfect special occasion hair accessory. 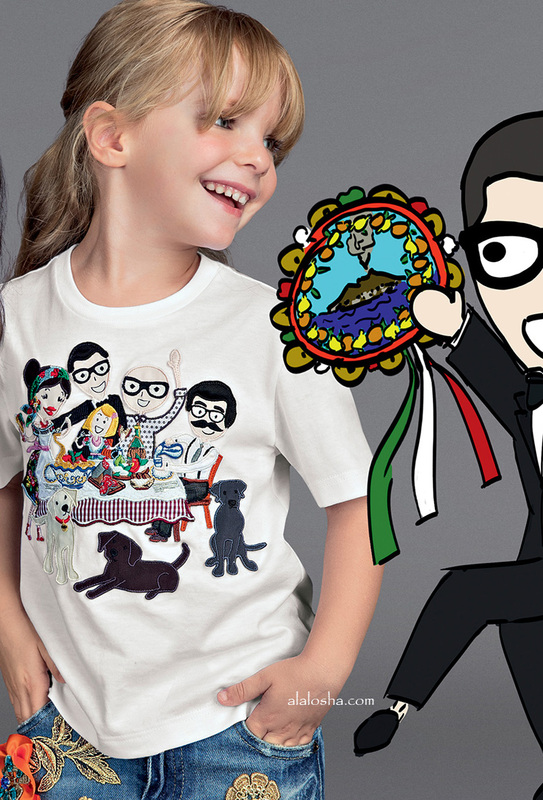 Boys white short-sleeved t-shirt by Dolce & Gabbana. 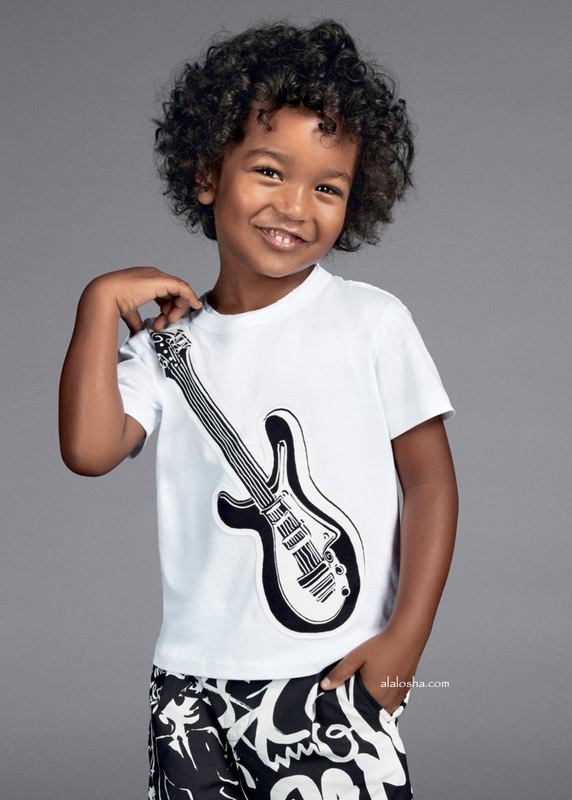 Made in soft cotton jersey with raw edge details, it has a large, black and white guitar appliqué on the front. The designer's logo fabric is sewn on the neckline. 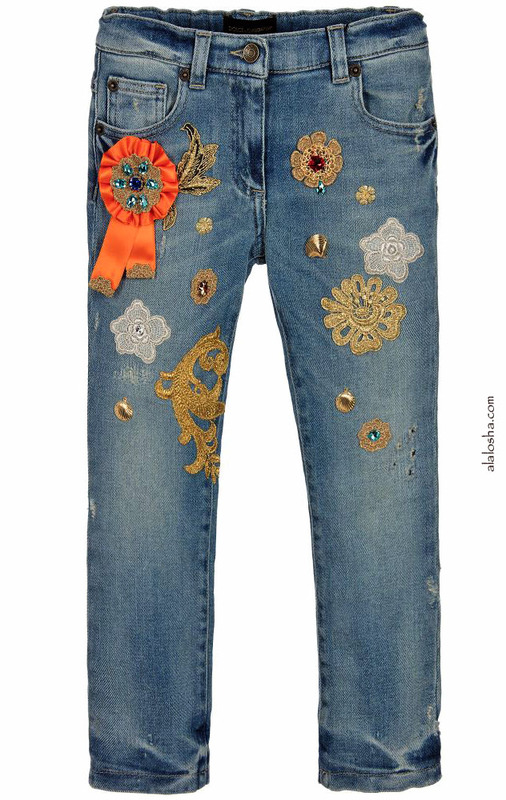 Girls blue regular fit jeans by Dolce & Gabbana. Made in stretchy cotton denim, with an intentional distressed look. Embellished with colourful gems and gold and silver appliqué, they are fully lined and fasten with a zip and logo button fastener. They have an adjustable waistband with five pockets, rivets and belt loops.